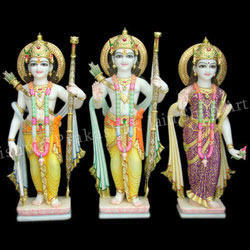 One can avail from us an aesthetically designed Ram Darbar Statues. 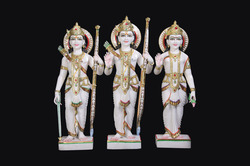 Creatively crafted Ram Darbar Statues reflects the skills and creativity of traditional craftsmen. 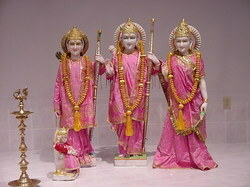 According to Hindu Mythology, Ram Darbar is considered as goddess of patience, fearlessness and power. 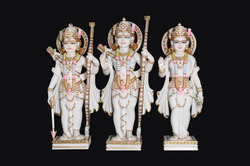 Our Ram Darbar Statues are carved in such a way that the blessings of Ram Darbar are directly provided to devotees. 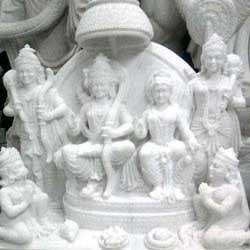 We utilize best quality marble blocks to carve these Ram Darbar Statues and ensure clients for highest quality standards. 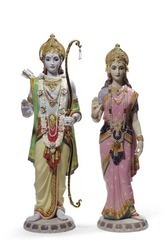 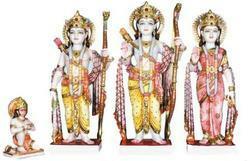 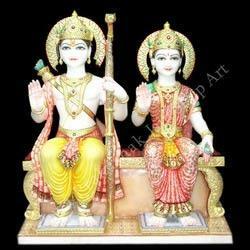 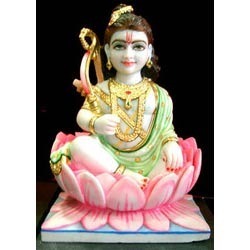 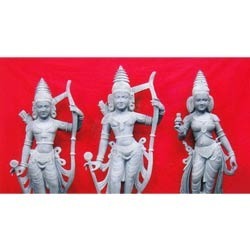 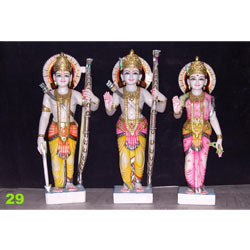 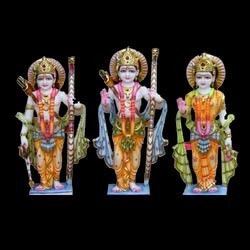 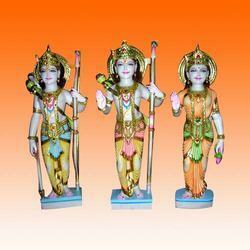 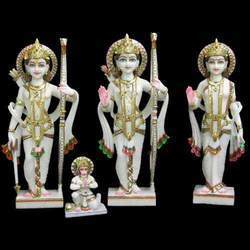 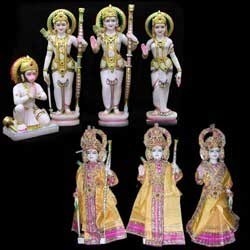 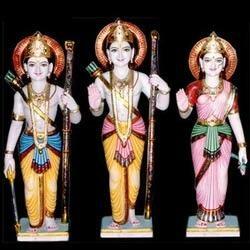 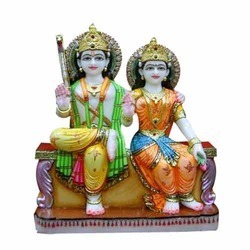 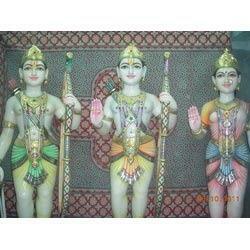 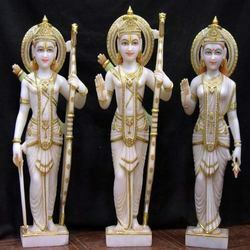 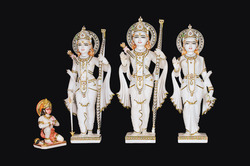 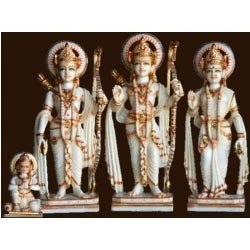 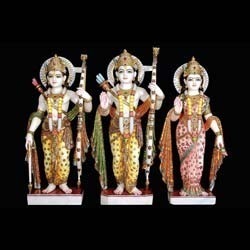 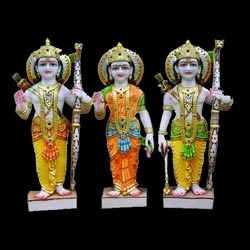 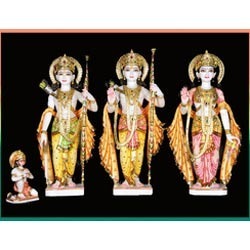 We offer a beautiful range of Ram Parivar Statues. 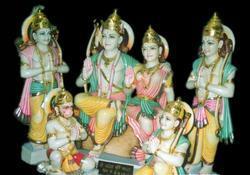 These are different from the Ram Darbar Statues as they also have the statues Bharat & Shatrughan apart from mata Sita, Laxman & Lord Hanuman ji. 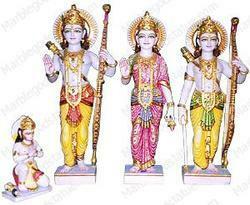 Size: 12 Inch to 150 Inch. 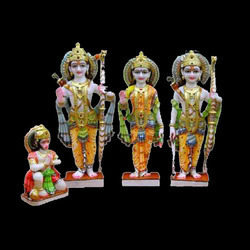 We offer our clients a splendid and attractive assortment of Ram Darbar Statues that is designed using the advanced tools. 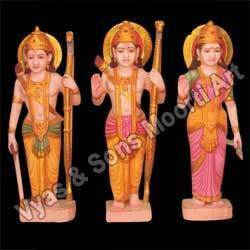 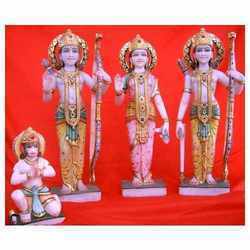 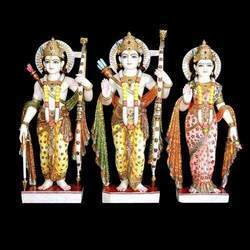 Available with three idols of Lord Ram, Goddess Sita and Laxman, these statues are provided to our clients in various sizes and postures. 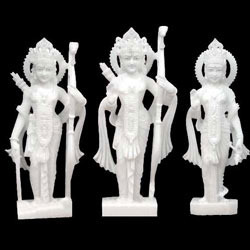 Crafted using superior quality marble, these are perfect for placing in different temples for worship purpose. 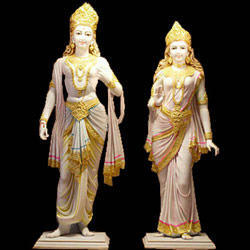 The offered statues are known for excellent appearance, perfect color combination, beautiful designs and exclusive artistic work. 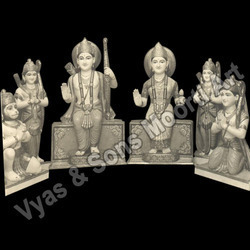 Our clients can avail from us a fascinating range of Marble Ram Darbar Moorti that is carved out of single block of pure white marble. 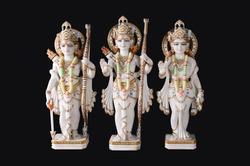 Designed with artistic excellence, these figures display the smiling faces of Lord Ram, Laxman and Sita in an impressive manner. 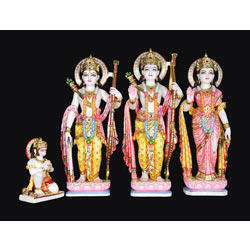 The sparkling beauty that the four figures of Lord Ram, his wife Sita, his brother Laxman and the devotee Hanuman, reveal is simply superlative. 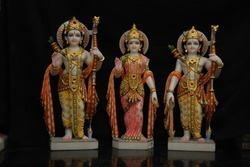 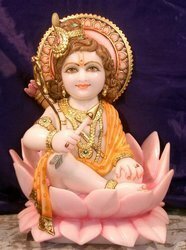 The statues are created in a way that they generate a sense of devotion and respect in the hearts of the devotees. 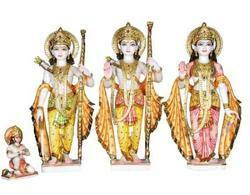 This range is characterized by some beautiful golden works done on the figures. 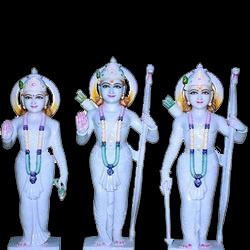 We are engaged in offering Ram Darbar Statues Set in makrana marble . 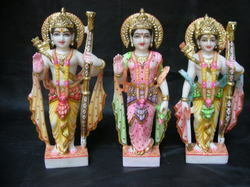 The statues are created in a way that they generate a sense of devotion and respect in the hearts of the devotees. 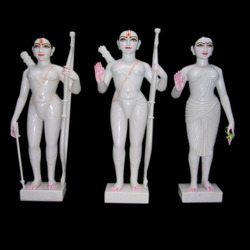 Looking for Ram Darbar Marble Moorti ?